Great outdoors look equally at home in an office environment. 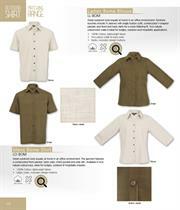 The garment features a constructed front placket, back yoke, chest pocket and side slits. Available in two natural colourways. 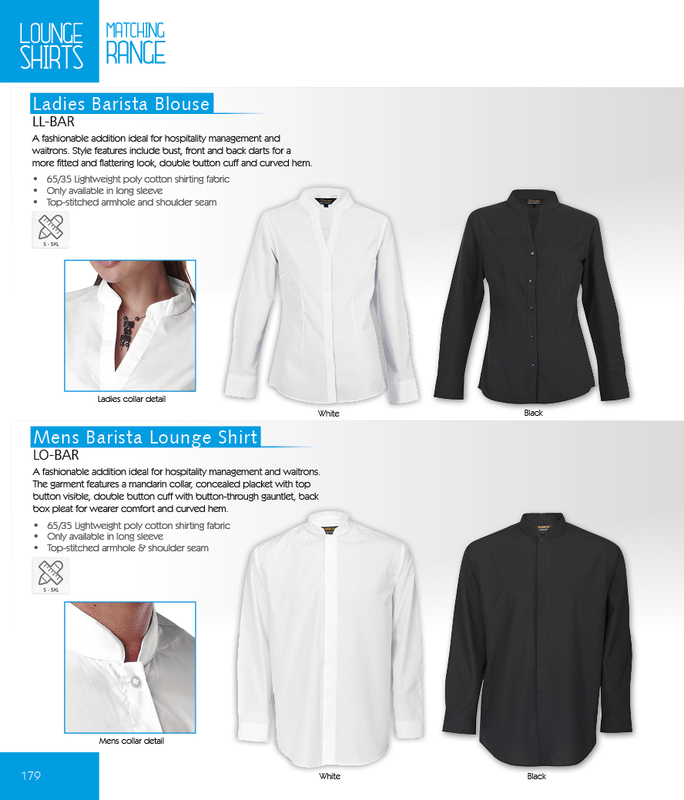 A fashionable addition ideal for hospitality management and waitrons. The garment features a mandarin collar, concealed placket with top button visible, double button cuff with button-through gauntlet, back box pleat for wearer comfort and curved hem. 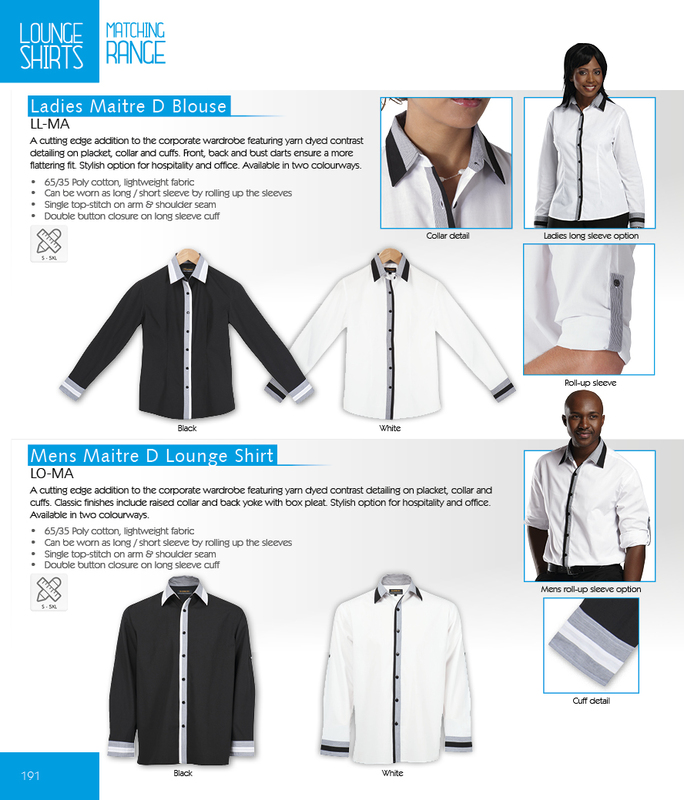 A cutting edge addition to the corporate wardrobe featuring yarn-dyed contrast detailing on placket, collar and cuffs. Classic finishes include raised collar and back yoke with box pleat. 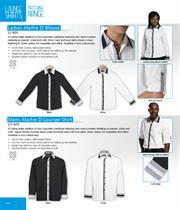 Stylish option for hospitality and office. Available in two colourways. 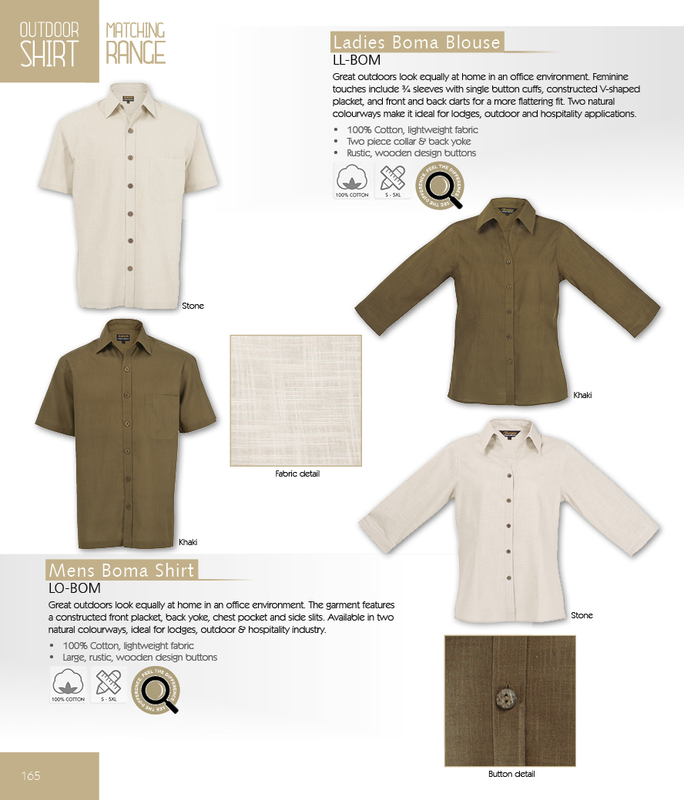 Hospitality - Men's & Ladies garments developed with the hospitality industry in mind. Cutting edge styling for a great look.